Park Slope's police are some of the most well behaved in Brooklyn, and maybe even in the city, according to a new database. 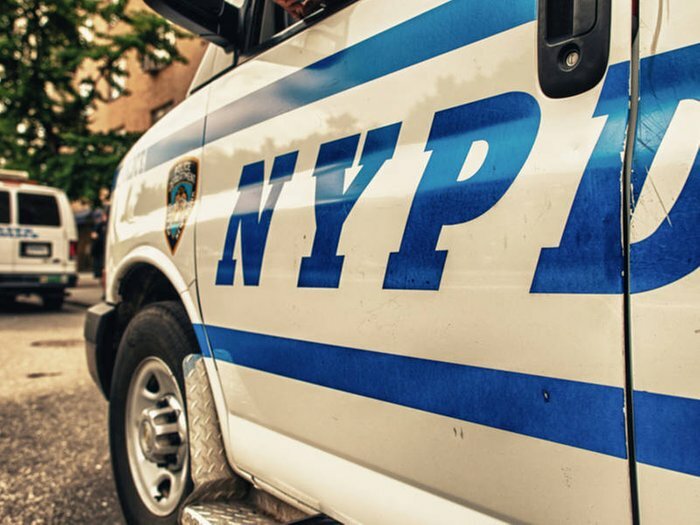 The neighborhood's 78th Precinct was one of three throughout Brooklyn that had the least number of lawsuits filed against its cops since 2015, a CAPStat database launched by The Legal Aid society shows. The three precincts — Park Slope's 78th, Bensonhurst's 62nd and Carroll Gardens' 76th — each had four lawsuits filed during that time period, as compared to as many as 91 federal lawsuits filed against the precinct that landed at the top of the list for both Brooklyn and the entire city, the 75th Precinct in East New York. Only about seven precincts in other parts of the city had less than four lawsuits. The new online tool tracks, which tracks federal police misconduct lawsuits how much taxpayer money has been spent settling these, aims to spot patterns of misconduct and discipline cops who are repeat offenders, Legal Aid says. "With today's launch, we join a national movement including fellow defenders, advocates, and community members to shed much needed daylight on police departments and their actions," said Cynthia Conti-Cook, a staff attorney with the Special Litigation Unit in Legal Aid's Criminal Practice. It will also help the general public "hold the NYPD accountable" for such patterns, which it "routinely ignores," Conti-Cook added. Among Park Slope's four lawsuits, only two have reached settlements so far, totaling $26,500 in taxpayer money. For comparison, the precincts at the top of the list paid out hundreds of thousands of dollars, or as much as $9.1 million in the 75th precinct's case. Both settled lawsuits, one for $25,000 and one for $1,500, involved traffic stops or tickets. In one, an African-American man was arrested but later acquitted after asking an officer "don't have nothing better to do?" when he saw him putting a ticket on his friend's car. In the other, another man was picking a friend up from the airport when he was stopped and charged with "operating outside of the lane" though no crime had been committed, records show. Read more about the database and how it works here. The Legal Aid Society today released a report on analyzed caseload data for gravity knife arrests and prosecutions between January 1, 2018 and June 28, 2018. 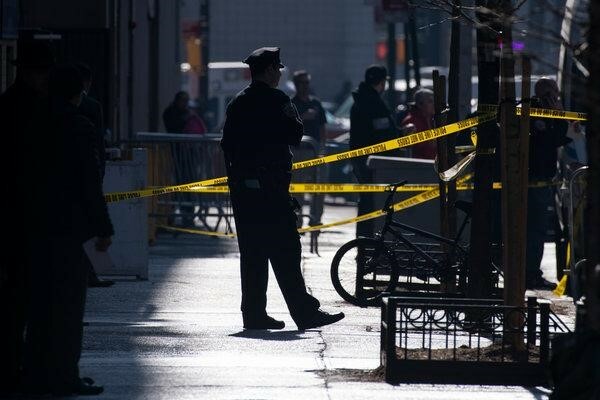 The analysis reveals that the New York City Police Department and local district attorneys continue to overwhelmingly target New Yorkers of color for gravity knife possession. These knives – commonly regarded as work tools and sold at the majority of retailers across the country – are used by construction laborers, electricians, stagehands, and other workers throughout New York City. “NYPD and local prosecutors use the gravity knife statute as a trap to make arrest numbers and to force our clients through the system. Folding knives are treated as tools at stores such as Ace Hardware and AutoZone; but they are treated as weapons once they are found in our clients’ Black and Brown hands. It is time for Governor Cuomo to end this trap, and to prevent thousands of arbitrary arrests,” said Martin LaFalce, Staff Attorney with the Manhattan Criminal Defense Practice at The Legal Aid Society. In 2017 after claims from the NYPD and local prosecutors that gravity knives are uniquely dangerous weapons, The Legal Aid Society issued an analysis of 1,800 violent felony cases where weapons were recovered. Those cases show that gravity knives were alleged to have been used in the commission of violent crime in less than one percent of cases. Canes, crutches, glass bottles, baseball bats, and other household items were alleged to have been used in the commission of violent crime at the same rate as, or more frequently than, gravity knives. New York’s current gravity knife statute has long garnered criticism for being antiquated, overly broad, and exploited by law enforcement to arrest and prosecute unsuspecting workers. In 2016 and 2017, the New York State Legislature overwhelmingly passed legislation to overhaul the law; but Governor Andrew Cuomo issued vetoes in both years. Still, Cynthia Conti-Cook, a staff attorney at the Legal Aid Society who is spearheading the database project, said one aim is to identify, track and analyze patterns of misconduct. “The intent of this database is clearly to help guilty criminals beat the charges against them,” Patrick Lynch, the Patrolmen’s Benevolent Association president, said in an email. “By publishing this database online, they will be doing even greater damage: Anyone with a grudge against cops will be free to peruse the false and frivolous allegations against specific officers and use them as inspiration for a campaign of harassment, intimidation or worse.” New York law prohibits the release of results of internal police investigations, deeming them personnel records. Judicial findings about officers who commit perjury are difficult to collect since they are not centrally recorded or archived. As a result, civil suits against officers are one of the few public, though imperfect, measures that can be used to gauge police misconduct, public defenders said. Other specialized units, like the Police Deparment’s gang squads, are also sued for misconduct more frequently than most patrol officers, the data shows. There are 132 gang squad officers included in the database who have been sued a total of 130 times. There have been a higher number of lawsuits in some districts than others, led by the 75th Precinct, which covers East New York and Cypress Hills in Brooklyn. “We hope that this is a tool for the city to identify patterns and address common patterns of misconduct that are pretty obvious if you digest the lawsuits that are coming in and being served on the city,” Ms. Cynthia Conti-Cook said. The Legal Aid Society launched “CAPstat” today – a database containing publically available information culled from federal civil rights lawsuits brought against the New York City Police Department (NYPD) for misconduct, alongside the disciplinary summaries BuzzFeed published last year and other public information – all of which is now easily accessible to the public for the first time. CAPstat was created to show how transparency can improve the public’s collective ability to identify trends in misconduct and to advocate for reform. The database highlights the amount of taxpayer money spent towards settling repeated incidents of police misconduct that the City has failed to properly track and remedy. The database can and should be used by policymakers and by the NYPD to better identify and prevent systemic patterns of police misconduct and to discipline the officers who repeat this misconduct. The database can also be used as a resource for people who have witnessed or who have been harmed by police misconduct, so as to help them decide whether to take legal action. This website was inspired by decades of work on the parts of grassroots movements, journalists, civil rights attorneys, academics, and policy makers who have advocated for learning from litigation data so as to improve policing policies, trainings, early intervention systems, and accountability. The data was collected by Julie Ciccolini for Legal Aid’s Cop Accountability Project (“CAP”). CAP was started at Legal Aid by staff attorney Cynthia Conti-Cook, and was initially intended to serve Legal Aid's Criminal Defense Practice attorneys who must, due to Civil Rights Law 50-a, argue in the dark for disclosure of internally documented police misconduct. To better serve the public’s right to know about police misconduct in a state where it is shrouded with secrecy due to Civil Rights Law 50-a, we expanded our project to bring this information to the public. The federal lawsuits included in this database were collected daily between January 2015 and June 2018. For each lawsuit, details are available on the locations and time of the underlying indicent, demographics of the victims, types of civil rights violations alleged, charges underlying false arrest cases, any uses of force, and the outcome or settlement amount. Similarly, all officers named in the 2015-2018 lawsuits can be sorted based on the total settlement amounts associated with lawsuits they’re named in, the total number of lawsuits they were named in during that period, and their salary and overtime. Each officer also has his or her own profile depicting promotion and salary history, any other publicly known misconduct, and other officers who have also been named in lawsuits. “Two barriers that we face toward real policing reform are a lack of transparency and accountability-- and accountability requires transparency. I believe that the CAPStat database will be a vital tool for the public as well as for the NYPD and advocates to review, to find and address systemic failures. This administration hides behind 50-a to prevent vital transparency, and I thank the Legal Aid Society for providing this tool that can be used for change,” said Council Member Jumaane D. Williams. "We know from our wrongful conviction cases that making findings of police misconduct prevents wrongful conviction by identifying patterns of misconduct and enhancing the public safety. Transparency will earn the public's trust and promises to deliver more reliable criminal justice outcomes by enabling documented findings of misconduct to be made public. Work is being done in this area now in Chicago, Philadelphia, Baltimore and more - so why not New York? Unfortunately the Empire State has the unique distinction of having the worst law in the country and our entire system of justice suffers for it,” said Barry Scheck, co-founder of the Innocence Project. "Lawsuits provide critically important information about incidents of alleged wrongdoing that can be used to identify and address problem officers, units, and practices. Yet, all too often this data is ignored--to the detriment of city officials, taxpayers, and the public at large. CAPstat allows the NYPD and others to identify practices and people that are the subjects of litigation, and then use that data to investigate the underlying causes for those trends. Lawsuit data should not be relied upon without further investigation and assessment--like all data, it has its flaws. But it offers unique insights into police practices that provoke litigation and payouts,” said Joanna C. Schwartz, Vice Dean for Faculty Development and Professor of Law at UCLA School of Law. Nassau County District Attorney Madeline Singas’ comments about criminal justice reforms proposed in Albany are tone deaf and out of touch with reality. She urges everyone to “slow down” the advancement of much-needed and overdue reforms central to fairness and justice — for bail, discovery and speedy trials. But Singas ignores the fact that problematic existing laws have been around for decades and harmed thousands of New Yorkers. Further, her claim that the new proposals were written by lawyers who have never practiced criminal law is mystifying. As the presidents of two statewide criminal defense bar associations composed of private counsel and public defenders, we will happily clarify for Singas. All of the proposals under consideration have been vetted by legal scholars, current and former practitioners, and members of the judiciary. Many proposals followed years of thoughtful work by task forces and committees. To suggest they were created in haste or by novices is misguided and insulting. These reforms were introduced last year in Gov. Andrew M. Cuomo’s executive budget. His office has discussed them at length with prosecutors and the defense bar. Both sides have been given time to comment on specifics. What we support will not advantage or disadvantage prosecutors or defenders. The reforms balance the law enforcement perspective with greater protections of due process, fairness, and efforts to avoid wrongful prosecutions and convictions. Editor’s note: Luongo is president of the Chief Defenders Association of New York. Cohen is president of the New York State Association of Criminal Defense Lawyers. A coalition fighting for criminal justice reform in New York says prosecutors and others urging caution on ending cash bail are way off base, arguing the system favors the wealthy despite recommendations from a state task force for some changes. The advocates, including the Bronx Defenders, Brooklyn Defender Services, the Legal Aid Society, the New York Civil Liberties Union and Citizen Action of New York, said in a statement on Monday that they are looking for “meaningful bail reform that protects the presumption of innocence and maximizes pretrial liberty.” The coalition is led by the non-profit advocacy group FWD.us. They contend that such reform would promote “the strength and safety of New York communities,” especially minority and low-income areas “that are disproportionately affected by over-incarceration.”. Advocates are reacting to a February report from the New York State Justice Task Force containing bail reform recommendations. The task force includes judges and representatives of the criminal justice system. It recommended a presumption of release without bail for people charged with most misdemeanors and non-violent felonies, additional training for judges and funding for pretrial services, helping the court ensure defendants return for their next court date, and allowing prosecutors to argue against release if they believe a defendant poses a threat. The District Attorneys Association of the State of New York has endorsed those recommendations. 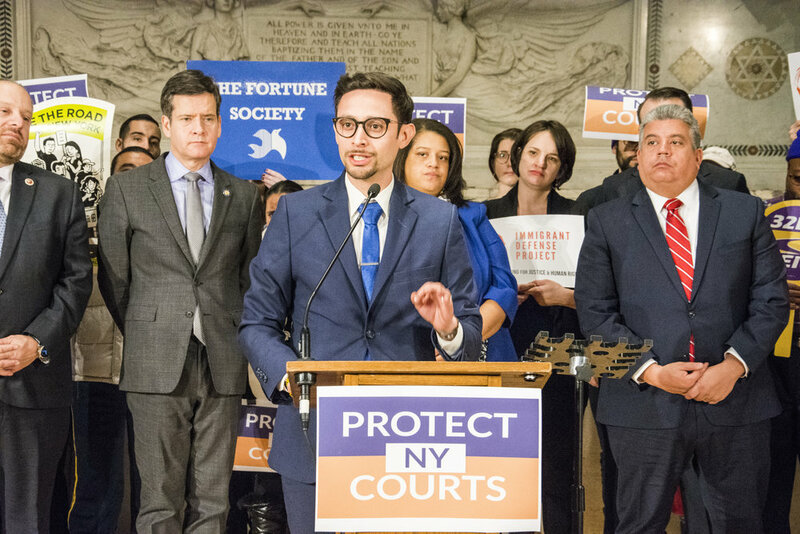 “Certain groups like District Attorneys Association of the State of New York have long tried to hinder criminal justice reform efforts, especially pretrial reforms, and continue to make false, fear-mongering public safety threats that run contrary to the facts,” the coalition said in its statement. Albany County District Attorney David Soares, president of the District Attorneys Association, said in a statement on Sunday, ““The time has come for ending cash bail and we want to make sure it is done in a meaningful and successful manner. This means careful consideration of all details of any proposals. Efforts to end cash bail were renewed after the suicide of Kalief Browder, who at age 16 was accused of stealing a backpack and spent three years on Rikers Island awaiting trial because his family couldn’t afford $3,000 bail. His case was eventually dropped and Kalief was sent home. Browder committed suicide in 2015, when he was 22. Advocates have long argued that the current cash bail system favors the wealthy and adversely affects poor black and Latino New Yorkers. The median bail set for a misdemeanor arrest in New York City is $1,000, according to the non-profit New York City Criminal Justice Agency. Those for whom bail is set must provide it in full to the court, pay a bondsman to cover it for them, or remain in jail. Democrats in Albany say they are nearing a consensus on criminal justice reforms, including a bill proposed by state Sen. Michael Gianaris (D-Queens) calling for a complete end to cash bail. mocrats in Albany say they are nearing a consensus on criminal justice reforms, including a bill proposed by state Sen. Michael Gianaris (D-Queens) calling for a complete end to cash bail. Under current law, judges often set cash bail even for minor offenses. The coalition said two out of three people in New York’s jails haven’t been convicted of a crime and are awaiting trial. And, it cited a 2017 study by researchers from Brigham Young University and the University of Maryland that found individuals who are held in pretrial detention on a felony charge in the city are 7.5 % more likely to be rearrested in the two years following their jail time than those who made bail and were released. Gov. Cuomo has suggested reforms that include ending cash bail, updating evidence disclosure laws and guaranteeing speedy trials. Democrats in Albany say they are nearing a consensus on criminal justice reforms, including a bill proposed by state Sen. Michael Gianaris (D-Queens) calling for a complete end to cash bail. “Thousands of New Yorkers who have not yet been convicted of a crime are languishing in jail simply because they cannot afford bail,” Gianaris told The News. Sen. Jamaal Bailey (D-Bronx) is sponsoring legislation to open up New York’s antiquated discovery laws, which currently impose restrictions on when defense attorneys see evidence against their clients. New legislation would allow defendants to see all evidence against them. Sen. Jamaal Bailey (D-Bronx) is sponsoring legislation to open up New York’s antiquated discovery laws, which currently impose restrictions on when defense attorneys see evidence against their clients. “Real, meaningful reform will ultimately reduce unnecessary and unjust incarceration, lead to less recidivism, and create stronger, safer communities and a more just New York,” the coalition said. 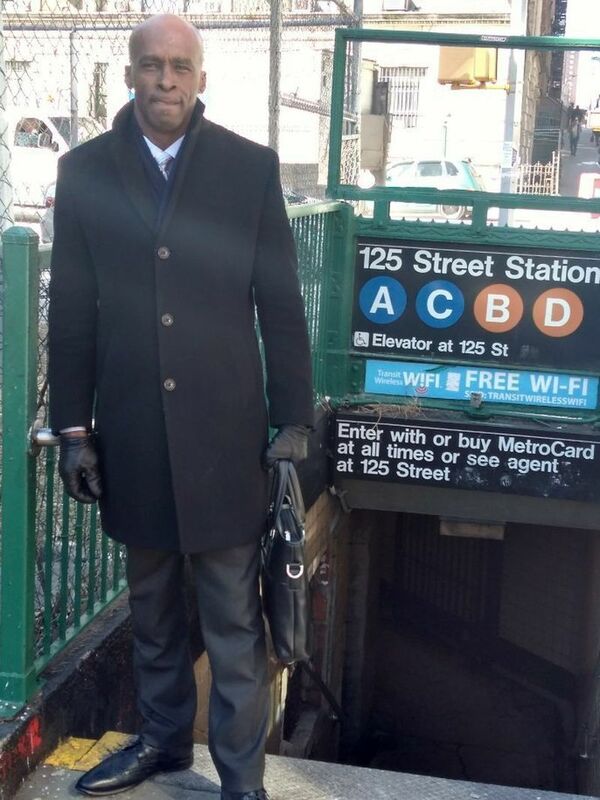 A New York University professor's turnstile jumping summons at a Harlem train station with malfunctioning MetroCard machines has prompted civil rights advocates to call on the NYPD's inspector general to probe racial disparities in fare evasion enforcement. The Legal Aid Society fired off a letter last week to Inspector General Phil Eure asking him to look into a January ticket that Prof. Terrance Coffie received for going through the security gate at the St. Nicholas Ave. station when none of the MetroCard machines were working properly. Coffie, an adjunct professor who teaches about community policing and discretionary enforcement, says he was on his way to work on Jan. 11 when he realized his MetroCard was out of money. He had ignored people clustered around the station's three machines as he headed to the turnstile. Now, he realized the crowd had formed because the machines were only taking coins. "I don't walk around with three dollars worth of coins in the morning," he said. Faced with the decision to use the security gate or be late for work, he followed many of the other morning commuters and bypassed the turnstile. Moments later, he said, he was approached by four plainclothes police officers regarding his fare evasion. When Coffie explained that the machines were malfunctioning, one of the officers said that the department and the MTA knew of the problem. "That's when the situation really kicked in," the professor said. "Are you saying to me that you are consciously aware that there is a malfunction, but instead of assisting the patrons, what you chose to do is be in a disclosed location to surveil the situation and issue summonses?" Coffie, who studies police-community relations, said this flies in the face of what his research has determined builds trust between police and minority neighborhoods. Annoyed, Coffie reached in his pocket for his phone to record the exchange, prompting one the officers to order him to remove his hands and threatening to handcuff him. "I saw where a minor interaction could have been escalated into something more -- that makes the headlines," he said. In the end, the cops issued a $100 ticket for fare evasion and everyone walked away. The MTA has said that fare evasion costs the troubled transit system $215 million every year. Statistics show that 90% of the tickets issued were to black and Hispanic riders. The department still has not released full data regarding turnstile jumping. Legal Aid lawyers say that Coffie's encounter shows that the NYPD targets minority neighborhoods with their "fare evasion strike teams." "It's a wrong-headed approach to try to bridge budget woes on the backs of riders," Legal Aid lawyer Benjamin Rutkin-Becker said. Both cops and transit officials denied that they target minority communities for fare enforcement. "We're committed to a fair response to a citywide problem and are categorically opposed to any inappropriate targeting," transit spokesman Shams Tarek said. Police said they are being more lenient on transit scofflaws and are posting signs to remind people that it's illegal. "The NYPD has implemented a new fare evasion policy, moving from arrest to summonses, and continues to work closely with the MTA to increase awareness with signage giving people very direct warnings that fare evasion is illegal." Police said riders can appeal a summons using an online form. Last night, members of the Legal Aid Staff were treated to a special performance from Nia Witherspoon and her new production “Dark Girls’ Chronicles,” an epic journey of Black womanhood expressed through Black music and dance as we celebrated Black History Month. The event was organized by Anne Oredeko, the Supervising attorney of the Racial Justice Unit. El número de deportaciones en New York aumento en un 150% entre 2016 y 2018, según un reporte del Contralor de la ciudad Scott Stringer. Para analizar el informe de Stringer estuvieron en Pura Política Anthony Posada, Abogado, Legal Aid Society y José Xavier Orochena, Abogado de Inmigración. El abogado Orochena contó que para el caso, nunca en su carrera como abogado de inmigración había estado en una situación en la que una corte penal detenían a un inmigrante por un asunto de inmigración. "Hace unos pocos días, saliendo de la corte criminal de Queens detuvieron a mi cliente", relató Orochena. Mi cliente "no tiene ningún record criminal", aseguró el abogado. El abogado Posada por su parte, habló entre otras cosas sobre lo difícil que es para las personas que son detenidas por ICE de pelear en las cortes sus mismos casos migratorios. "Una de las cosas que demuestra el reporte del Contralor es que las fianzas han subido también", dijo Posada. Vea el segmento completo de Pura Política con el presentador Juan Manuel Benítez.